On the rare occasion that I actually have spindles available to sell outright, this is where they will be listed. - Break down the spindles, clean, inspect and notify you of condition. - Media blast all components. - Clean up spindle nut threads. 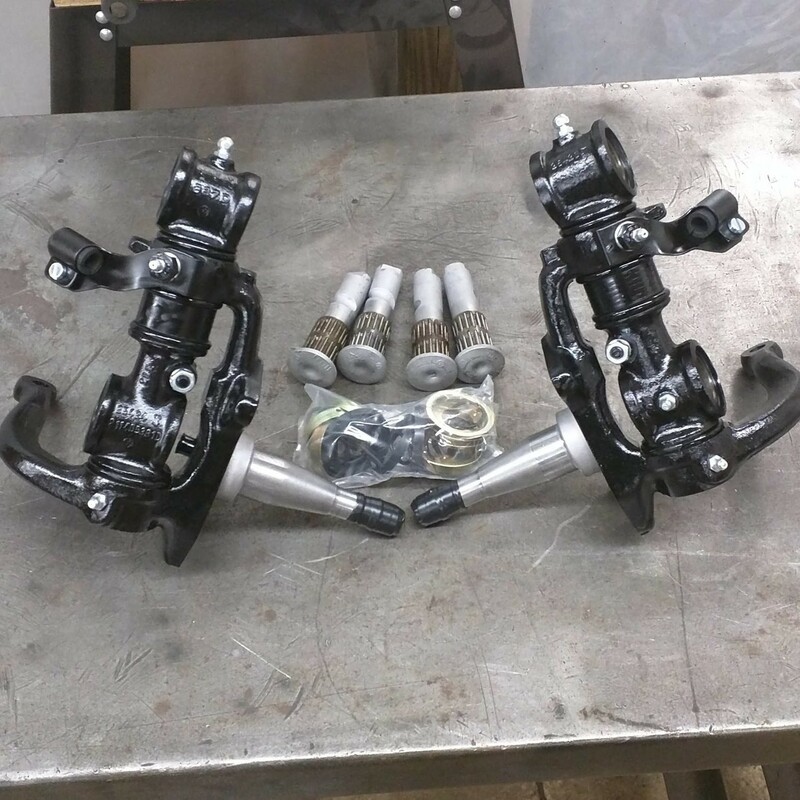 - Install and ream new King Pin bushing- Press spindles back together w/ new o-ring seals.- Paint gloss black.- Install NEW grease fittings. No additional cost for king pin bushings! They are included with stock rebuild.